Need help with your current website or a redesign to update your look? 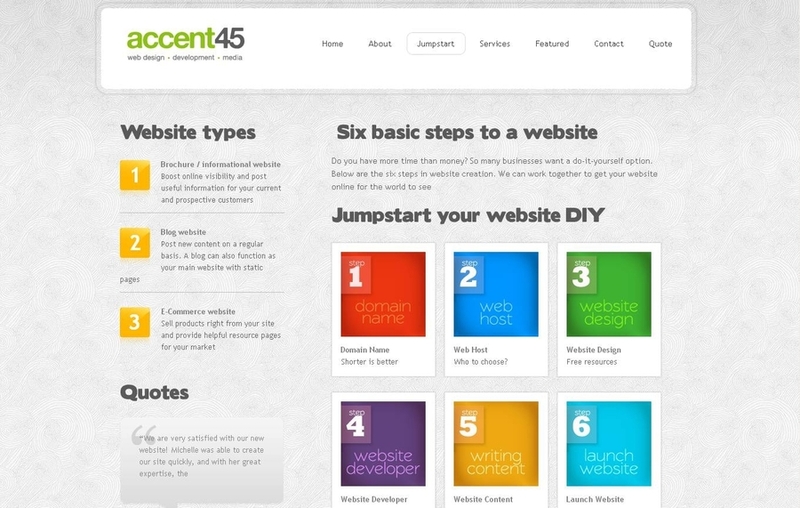 Accent45 specializes in CMS, like WordPress (content management systems), giving small businesses the ability to make updates to their own website. Why keep paying for those little updates you could make yourself? Choose from themed templates or a custom design. I am available from the beginning of the design process to long after your site launch. Want the latest technology? Choose a Responsive Web Design.